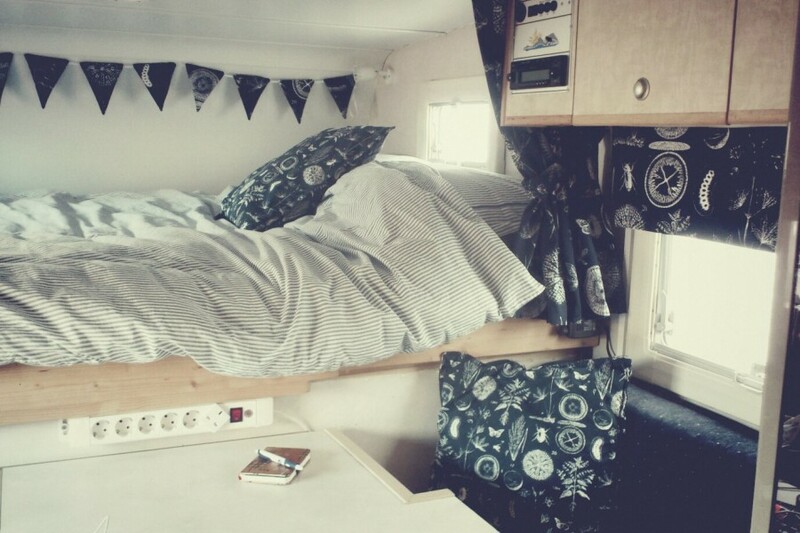 Homes with Wheels: my life in camper vans. It’s been six months now that we have been living in our truck camper. 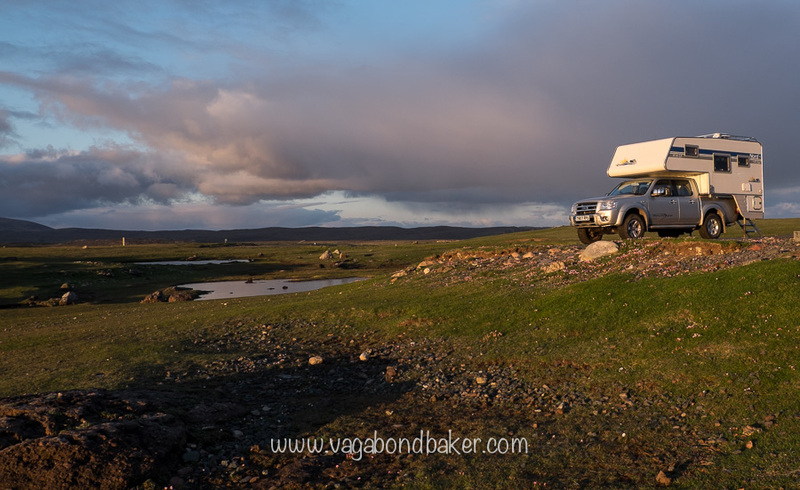 Our adventure in Shetland last month set me thinking about my previous campers: how those different vehicles have shaped my travels and my social life. Driving around Shetland in the Thundertruck surprisingly brought back so many memories of being on the road in my old VW camper Maisy. They couldn’t be more different in style, age and character but since acquiring a truck camper we have suddenly been thrust into a ‘club’! 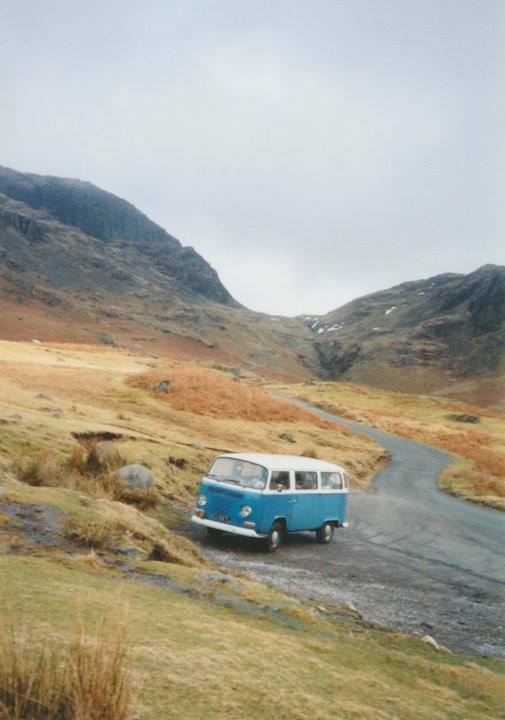 Back in the hazy, grungy days of the late nineties I was in the Veedub club with my little blue (originally orange) Volkswagen bus. Maisy had bundles of character and rarely a day would go by that we wouldn’t get a wave or flash, or even better, the VW wave. 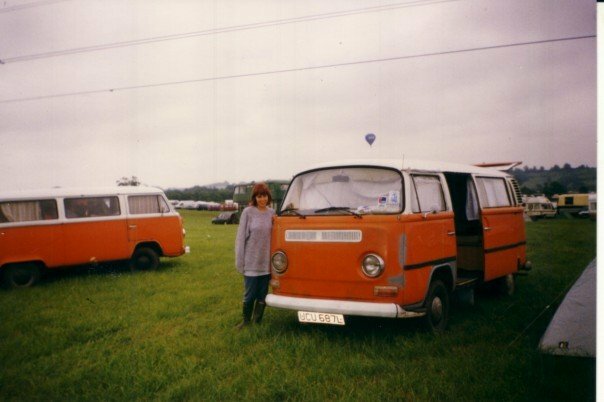 We went to shows and gatherings in her, Vanfest, Run to the Sun, Tatton Park, to ogle other buses, buy parts, ‘be’ VW owners! No one really waves to you in a tatty Ford Transit camper, the veedubbers ignore you and the motorhomers look down their noses at you. Juan the Transit Van, you were my home for three years and I loved you, even if it meant not being cool, not being in a club. Who needs a club anyway? I’d forgotten what it felt like to be honest, those VW days seemed so long ago. Then we entered the world of truck campers. Even simply looking into buying one exposed us to the forums, the clubs, to owners of them: we were invited round for a brew to have a look around one. Suddenly, we found ourselves waving to other truck camper owners if we occasionally passed one on the road. In Shetland we would never have met Kit and Ewen if they hadn’t met us in their truck camper on their local pier, they wouldn’t have driven over if we’d been in any other vehicle. We wouldn’t have met Patrick, the happiest Frenchman I’ve ever met, if we hadn’t passed him in his truck camper on a narrow Shetland road , we wouldn’t have spent the evening talking photography and travel on the ferry back to Aberdeen. And in three years not one single person asked if they could come and have a look inside Juan the Van (their loss, Juan was as cute as a country cottage inside) yet people seem very curious to see inside the truck camper! We’re in a club again! My camper obsession began in the late nineties when I was sat on a bus at traffic lights in Stratford upon Avon. Life was fairly mundane for me back then, I had a part time retail job and I still lived with my dad. There, across the lights was metallic maroon VW camper van, the driver was listening to music through earphones connected to a Walkman resting on the dashboard, tapping his hands on the big steering wheel while he waited. He looked otherworldly, he wasn’t like the commuters around him, he was smiling for a start! I knew there and then that I wanted a bus like that, I wanted to escape to the parallel universe he was driving in. And so we bought Maisy for £450 (try buying a vintage 70’s vw bus for that these days!). 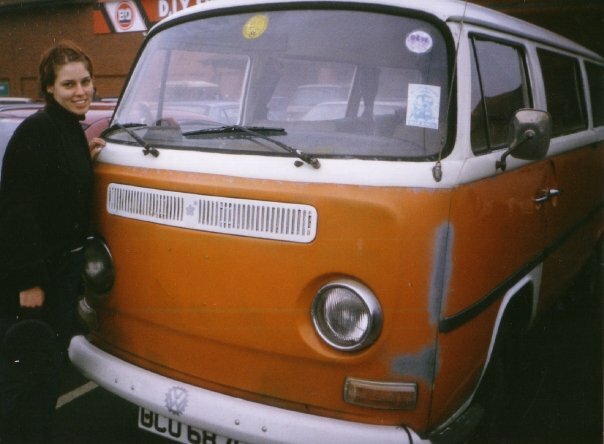 Maisy was my pride and joy, a 1972 VW bay window mini bus that had been converted in the 70’s as a camper van. She didn’t have a pop-top roof and her interior was dated (two single beds) so we ripped it out and whipped up a new one out of MDF: I bet that old interior would be worth a lot now! 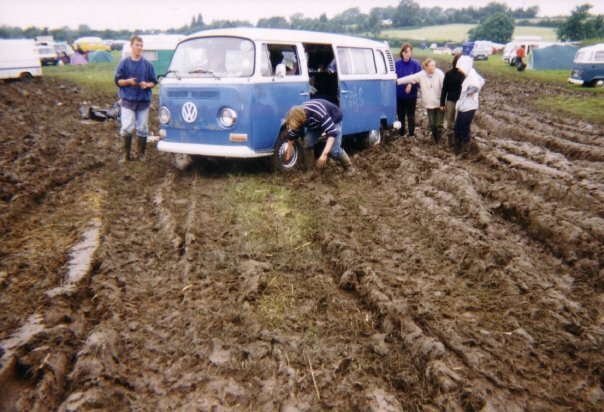 At midsummer we’d pack her up with wellies and supplies and head down to Glastonbury festival, where more than once we had to dig her out of the mud at the end of the weekend. I had Maisy for 5 years, during which she slowly rotted. Early on we had replaced her engine with a reconditioned ‘big bore’ 1700cc and while she ran well her body and chassis fared worse. Every MOT required a costly whack of welding to get her through and eventually I had to sell her, sadly I couldn’t keep up with it on my crappy retail wage. She wasn’t the only VW bus I’ve had though: in 2004 we bought Dizzy the 73′ pop-top camper. Dizzy was a slightly newer model than Maisy and her interior was authentic with a pull out bed and two bunk beds in the roof. She looked so pretty parked up on the esplanade near our flat in Oban, Scotland. Unfortunately we didn’t have her for long as her engine blew, I ended up selling her to a friend for him to do up (which he never did and he sold it to someone who did get her back on the road). 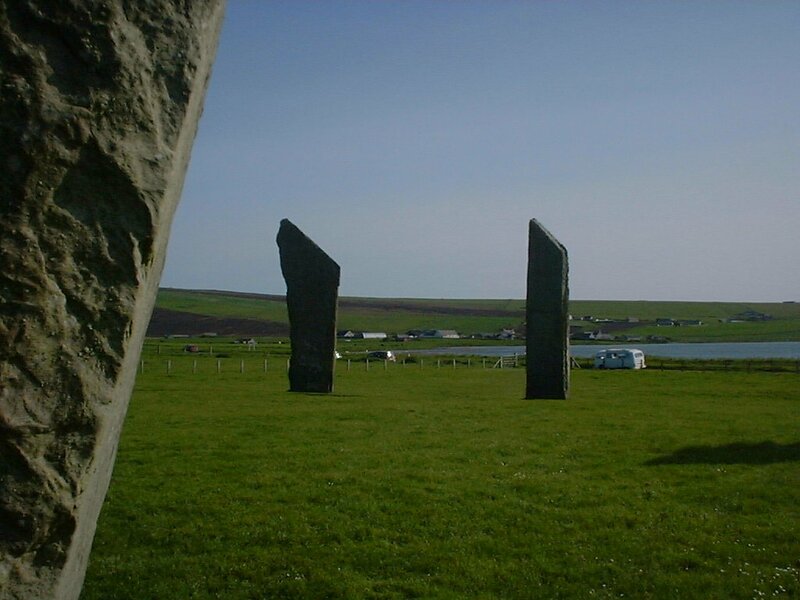 We had one awesome road trip in her when we drove her up to Orkney for a two-week holiday. I’d given her an oil change before the trip and with Rosie the Riveter ‘We can do it’ enthusiasm I must have over-tightened the nuts or done something wrong because we lost an awful lot of oil between Oban and Inverness – oh, the polluting horror of it now. I learnt there and then that a Haynes manual does not make you a competent mechanic! A garage in Inverness sorted us out but the damage had been done, a week after returning from Orkney Dizzy’s engine blew. She was immobilized and that was the end of my admittance to the VW club. Three years past without any kind of camper van, we had a white Ford Transit van for Chris’s book business but we never slept in it. 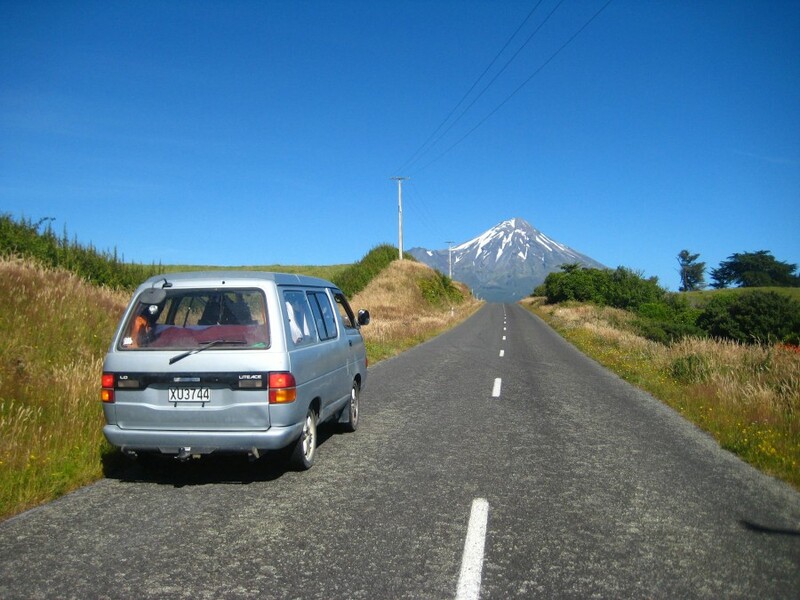 Roadtripping in New Zealand is mind-blowing! 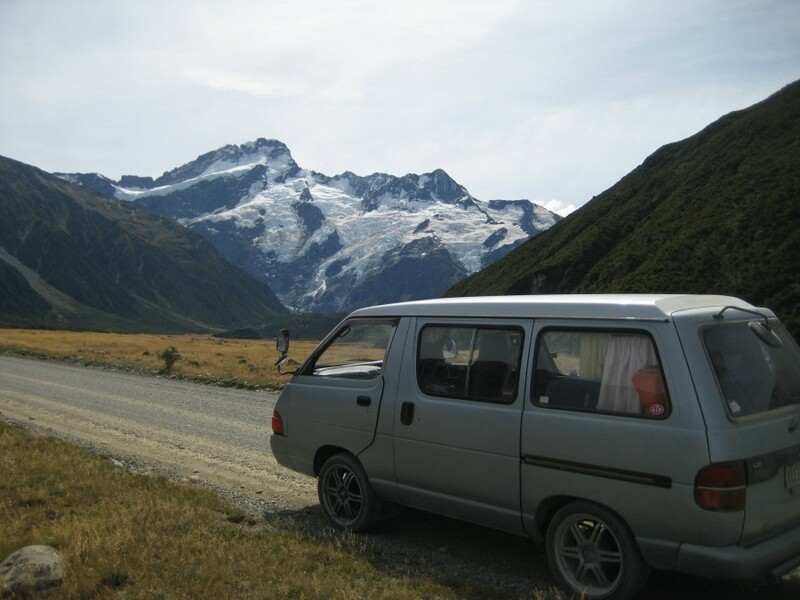 After road tripping around Australia in a car I was certain I wanted a camper van to explore New Zealand: camping is fun but I’m a camper van girl at heart! 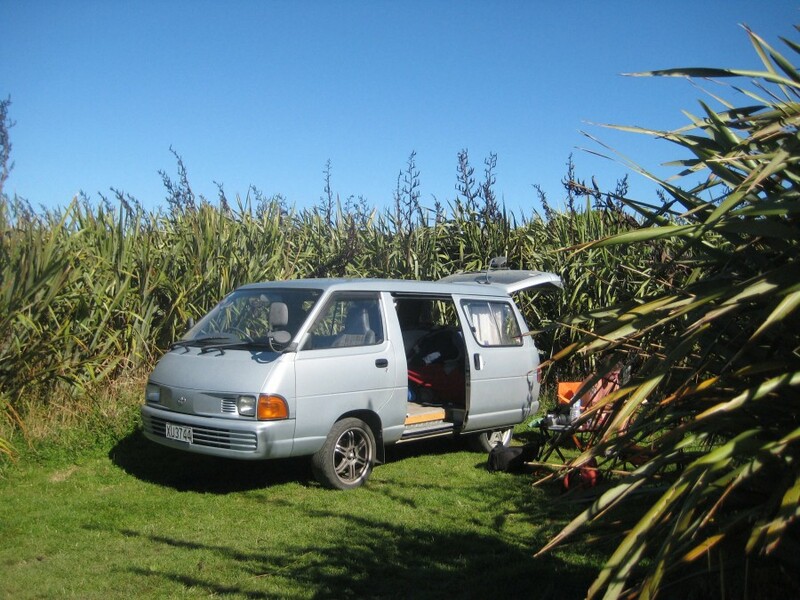 Dave the tiny Toyota Liteace became our home on wheels for the six months we spent in New Zealand, although we also stayed with a family too, we used Dave whenever we went off exploring. This minibus had been converted to a camper by the previous owner but the bed was awful so we modified the interior to our needs. Dave may have been small, but there was room for Chris, myself and our little sparrow, and we spent the days outdoors. On returning to the UK we spent a couple of years lodging with our friends while we both went back to college in Dundee, Scotland. 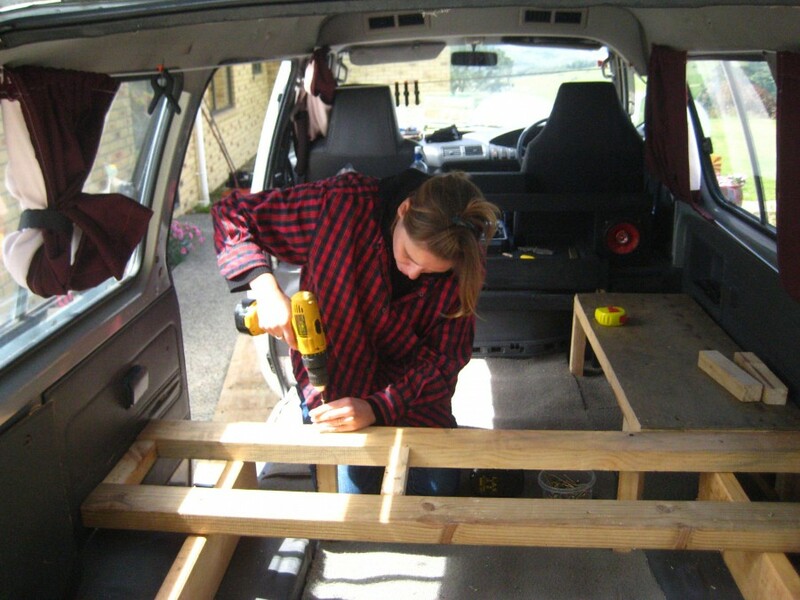 When they had their second child we had to move out, that’s when Juan the Ford Transit van became our home. We became house sitters and Juan was our only home outside of that for three years, he was the only roomy camper we could afford. As with Dave, Juan’s interior needed modifying to suit our needs: we re-jigged the kitchen area and the bed to make Juan much more habitable. 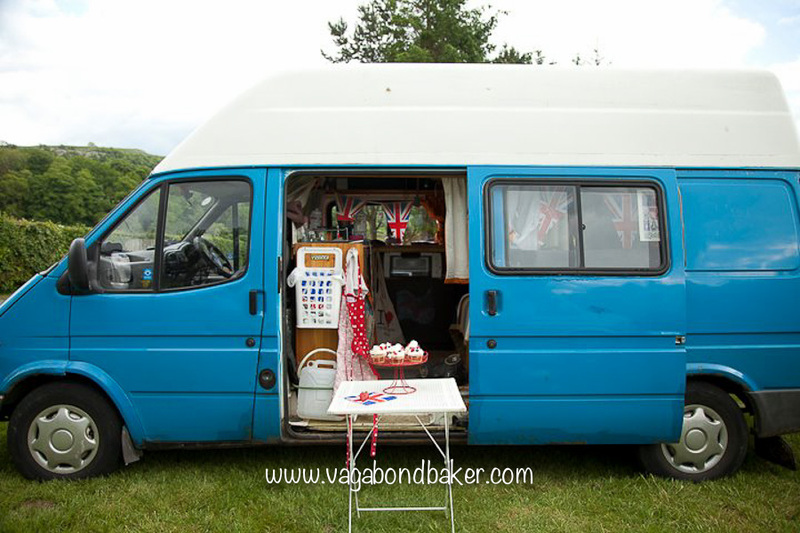 Juan became the backdrop to this blog, many of the early adventures and bakes happened in this van! 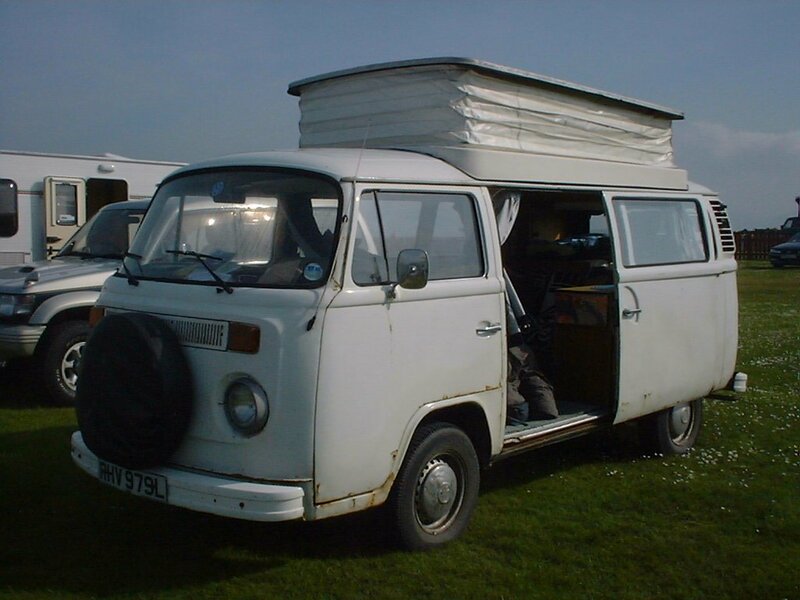 As a long wheelbase Transit, Juan had much more space for full-time living in compared to the old VW buses, we had a rudimentary bathroom, a ‘sofa’ each and I had a good-sized kitchen to vagabond bake in. He wasn’t perfect though, he was painfully slow, unreliable and rusty. We were back to big welding jobs to keep him on the road. With no heating system, he was also bloody freezing in winter! In the end we waved goodbye to Juan as he disappeared from view on the back of a scrap truck when he amassed one too many things wrong with him. And that brings me up to date, to the Thundertruck: our demountable camper. Strictly speaking this isn’t a camper van, but then it’s not a motor home either. 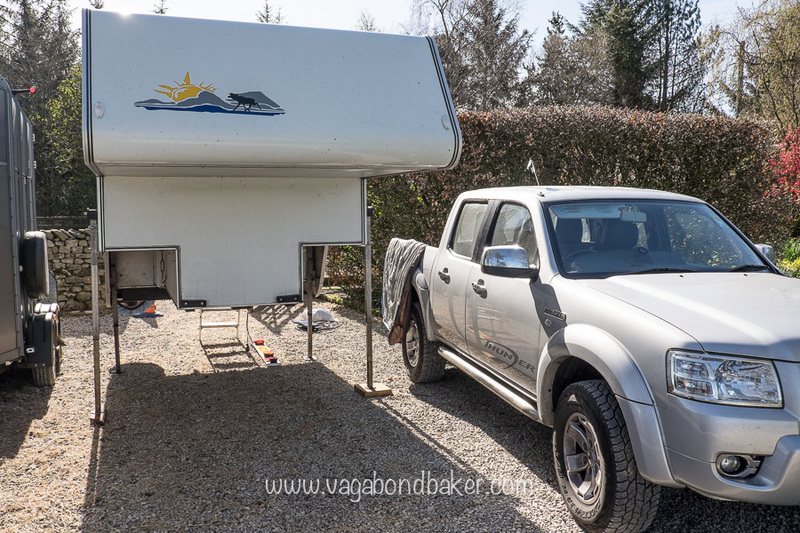 The truck camper doesn’t even fall somewhere in-between, it has more in common with caravans really in the fact that you can demount it and leave it in situ while you go off in the pick up. All I know is, it is awesome and I’m thoroughly enjoying being a truck camper-er! I have a huge bed (that I don’t have to take down every day), super-cosy central heating, hot water and a 4×4 pick up to expand our horizons. This is by far the most comfortable home with wheels that I’ve ever had and I feel I’ve come full circle with regards to the social aspect of owning a camper. 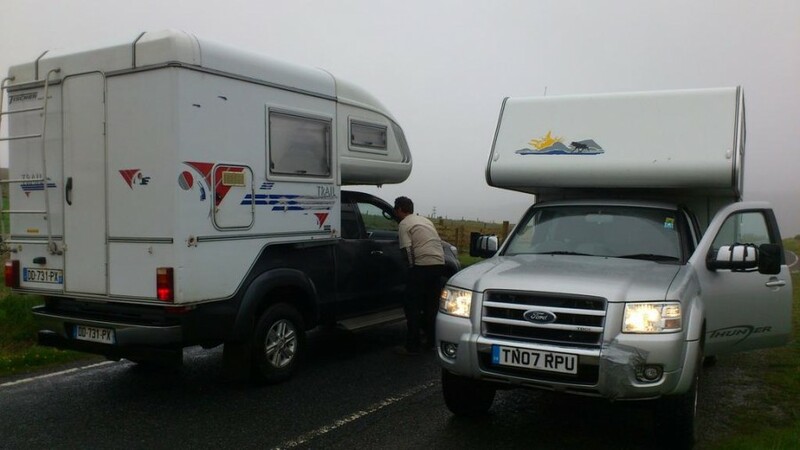 We’ve met so many great and interesting people since we’ve joined the truck camper ‘club’. I wonder what camper van we’ll get after the Thundertruck? It won’t be any time soon, we’re having far too much fun in this one! Have you ever owned a camper? Rented one? Cruise around in one now? Share some photos on Twitter, Facebook or Instagram, it would be cool to see them! Thanks Jennifer! 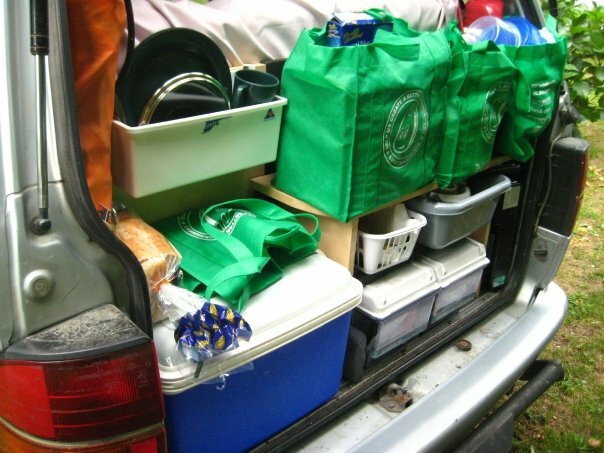 Great to hear you lived in a Toyota too! I’m loving our truck camper, it’s great to be able to take it off and leave it, the benefits of a caravan without having a caravan. I don’t know how popular they are in Australia, I’m guessing they probably have pop-tops! It’ll be interesting to see what’s available! Brings back lots of memories for me too – I grew up on camper vans, all our childhood holidays to France were in a 1978 VW (an light orange one with a wedge shaped pop-up roof). I think my parents liked it as the three kids in the back were far enough away that they couldn’t really hear us fighting, that and the fact the seats flipped up and you could fill the underneath with a lot of wine! My dad kept it going for years but the maintenance got a bit too much so it was sold last year. 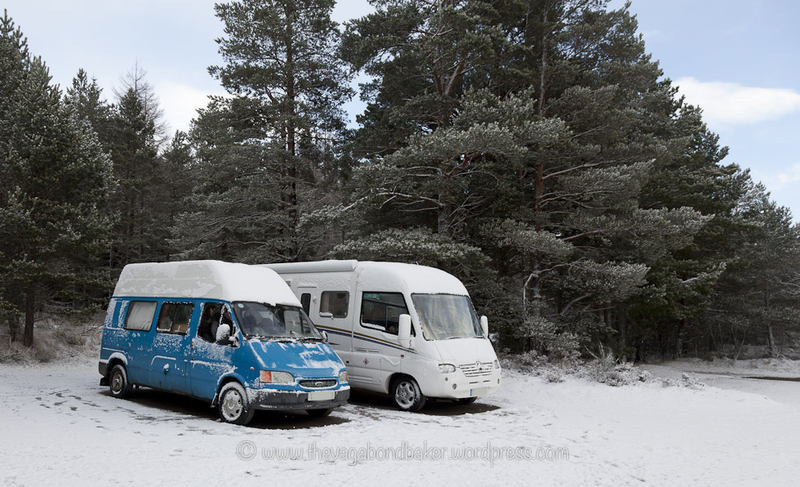 A sad day – though the new owners have a camper hire business so we can always borrow it for the weekend! Aw, that sounds like a super cool van! I wish we’d campervanned when I was a kid, we holidayed in an old 70’s saloon Triumph: we were definitely not bickering far away from our parents! Wow, that’s awesome: you can hire your childhood van! I’m always on the look out for Maisy, I’d love to know if she was still on the road. Wow, I had no idea your van experience went back so long! Love seeing all those old photos of VWs and more. And looking forward to meeting Thundertruck soon! You’ve met him now! Woohoo! This is fantastic! I love that you still have so many pictures of all of the camper vans in your life for so many years! Living in the UK I’ve met more people passionate about camper-vanning than I ever did in the US. It’s simple and fun and adventurous. Now if only I could get my husband to agree to my plan of camper vanning all over the UK! Thank you so much Julie! 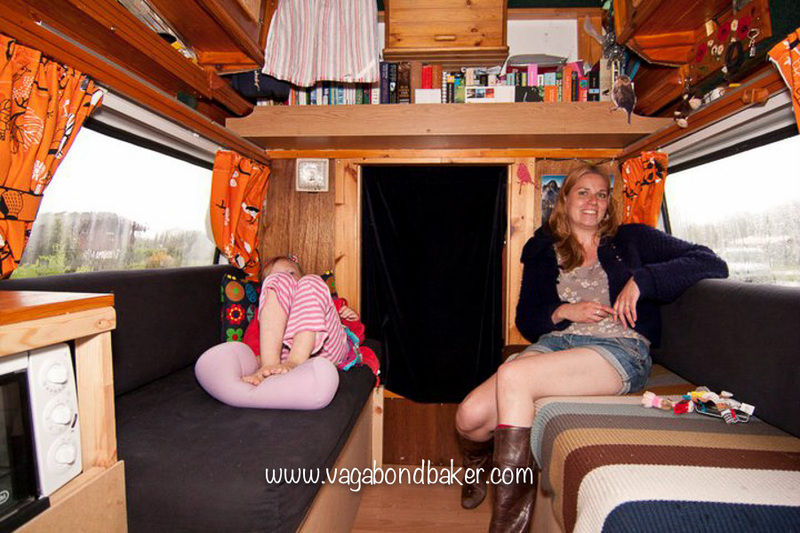 I’m absolutely addicted to camper vans and this life: it’s freedom! That’s how I’ve always seen campers: a way to freedom. I’d love to road trip America one day, I follow a few truck camper travellers on Instagram, there is certainly a ‘movement’ over there and the adventure looks amazing! With no disrespect to the current set-up, I think Juan was my favorite. Hahaha, good old Juan! Thanks Troy! Wow! Rocky, I love it! aw, your little fighter. Was she a bit ropey? We didn’t really have any issues with Dave, although the road conditions were probably more favourable in NZ compared to what we experienced in Australia in a car! It was a lovely nostalgia wander, I’m so happy with Thundertruck, he is so comfy. He’s made life a bit of an adventure again!